As more and more of our elderly loved ones opt to age-in-place it is becoming increasingly important to adapt health care services to keep them safe and accommodate their specific needs. Wiser Home Care Services offers a variety of care services that are designed to fit a range of senior care needs. This week we would like to highlight companion care, one of Wiser Home Care Services’ basic care options. This option for care focuses on helping seniors who spend a lot of time alone. Companion care is a great option for those who desire to age-in-place. However, it is true, we all need some companionship. In fact, this is especially true for the elderly who may live alone or have trouble keeping up social engagements. Through providing companion care on a routine basis, a senior’s quality of life and mental health can improve greatly. Our companion care caregivers provide the interaction seniors need to help make them feel connected. Wiser Home Care Services has wonderful companion care caregivers that are there for conversation, able to take seniors to social outings, run errands, and participate in activities as well as do light house duties. 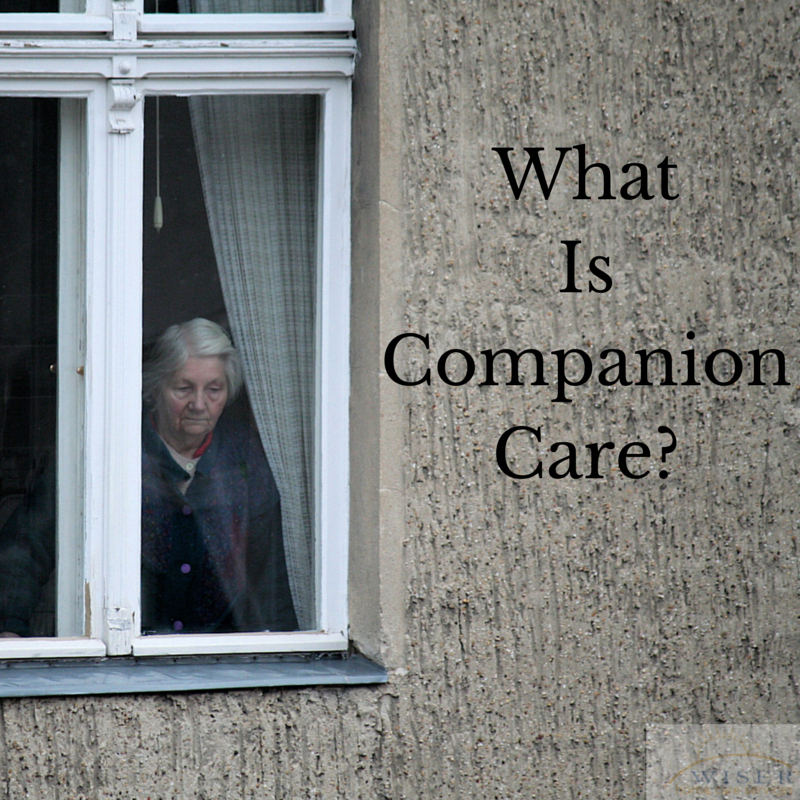 In addition, companion care can provide the support needed for seniors to live safely at home. If you care for an elderly loved one and would like help developing a care plan of any kind please feel free to contact us. We can help your family establish a care plan to personally accommodate your loved one’s needs.